Professor Dr. Khondakar Ashraf Hossain, a member of the Syndicate of BRAC University, passed away on June 16, 2013 at Labaid hospital, Dhanmondi, Dhaka. As a member of the Syndicate and a member of the Faculty Selection Committee of BRAC University, Professor Ashraf had been actively engaged with the academic development of BRAC University. 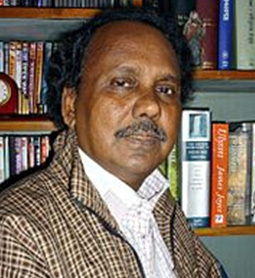 Hossain was born in Joynagar village in Jamalpur Sadar Upazila, Dhaka, Bangladesh, in 1950. He earned a BA degree in English from the University of Dhaka in 1970, an MA degree in English from the University of Dhaka in 1971, and MAs in Linguistics and ELT from the University of Leeds in 1981. He also obtained a PhD in English from the University of Dhaka and a postgraduate diploma in Teaching English Overseas from the University of Leeds in 1980. His doctoral thesis is entitled Modernism and Beyond: Western Influence on Bangladeshi Poetry. Dr Hossain was a professor and chairman of the Department of English at the University of Dhaka. He had been appointed as the Vice Chancellor of The National Poet Kazi Nazrul Islam University at Trishal, Tangail, Bangladesh.